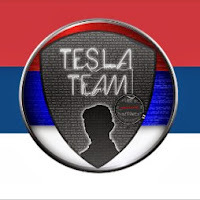 TeslaTeam, one of the infamous hacker group from Serbia, claimed to have hacked into one of the most famous celebrity fashion sites E!NEWS. E! News is one of the high profile website that has alexa rank around 600, provides entertainment news, celebrities, celeb news, and celebrity gossip. The database dump contains the list of tables, username and password phone of admin and other users. The same group recently hacked into the Vevo website and leaked the database.